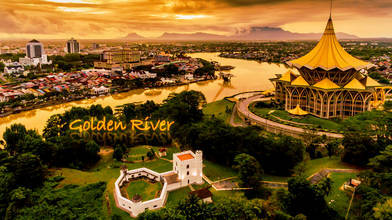 Description: There is no bridge in the center of the city where the Sarawak River is located, and people frequently go and go by ferry. This river always colors the milk coffee, but it turns into a golden shining moment only at dusk. That's exactly the superb view.